"Barleycroft" an exclusive collection of just 55 beautiful 2,3,4 & 5 bedroom homes in the historic village of Rudgwick on the Sussex/Surrey border built by Berkeley. Inside each inviting family home you will find light filled rooms finished to the highest standards and with a stunning specifications. At Barleycroft each home combines traditional skills, innovated design and contemporary features. 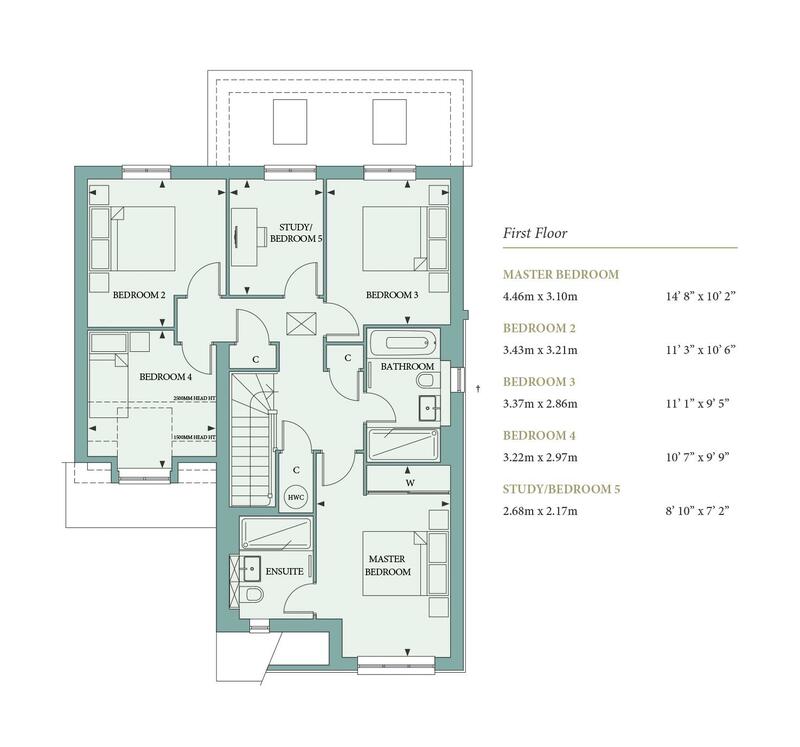 Plot 52, 'The Rockrose', is an attractive link-detached home that offers 4 good sized bedrooms including master bedroom featuring an en-suite shower room, a study/fifth bedroom and a family bathroom completing the first floor. 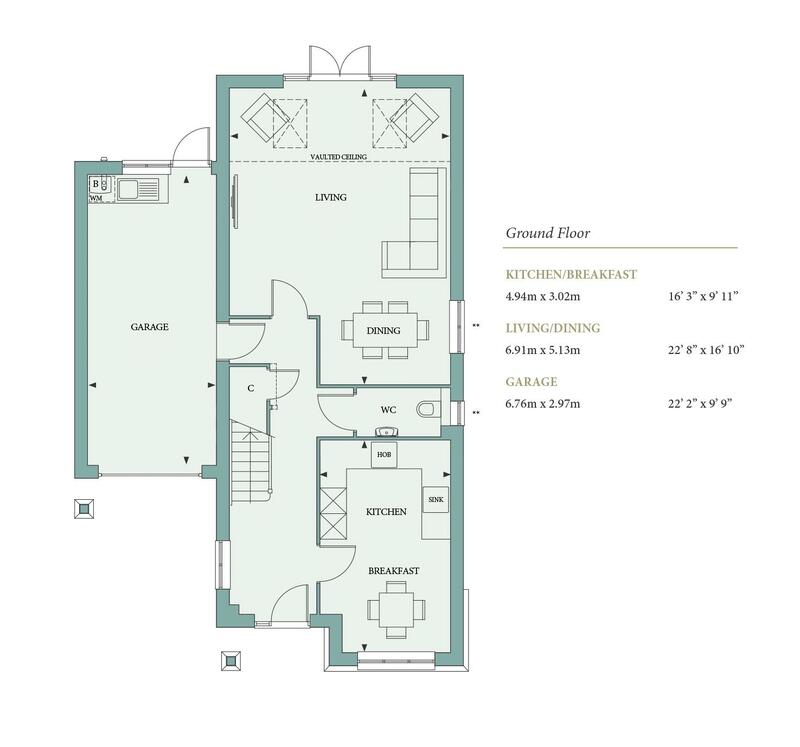 On the ground floor the entrance hall leads to a high quality contemporary kitchen breakfast room, cloakroom, and a superb open plan living, dining room with part vaulted ceiling and double doors opening onto the garden. This particular house features driveway parking for 2 cars in addition to an integrated garage. Contemporary family bath & shower room Parking, integral garage with utility area.